Tuesday 25 June, 10 am – 4pm. Oxfam International and Development Finance International launched the second version of their Commitment to Reducing Inequality Index. Covering 157 countries, the Index measures governments’ actions in 2017 on social spending, tax and labour rights – three policy areas that are critical to preventing and reducing inequality. This year’s Index sees new indicators on harmful tax practices and women’s rights. New Zealand is ranked 27 out of 157 countries. Amongst high-income OECD peers, New Zealand is ranked at 25 out of 35 countries. New Zealand does reasonably well globally on social spending, ranked at 17, and on labour rights, with a global rank of 25. Yet while satisfactory on social spending, during 2017 New Zealand’s expenditure on education as a share of all social spending decreased. Our taxation regime is also regressive. When compared to all other countries across the world, New Zealand is ranked at 100 for the progressivity of its tax system, compared to one for Australia, and 76 for Kiribati. Our government is taking action, some of which was captured in this year’s Index, some of which will be measured next year. Yet, there is still more work to be done to make New Zealand a society where we all get a fair go. In New Zealand, income gaps have widened faster in the last 30 years than almost anywhere else in the developed world. That makes the country more divided and less healthy, and strikes at the idea of equal opportunities or the ‘fair go’ for everyone. 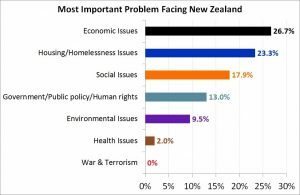 And the public knows it: the polling depicted above shows inequality is the number one issue for New Zealanders. Source: Roy Morgan survey May 2017. The Equality Network brings together the groups who are responding to this concern by campaigning to reduce income inequality and create greater well-being and life chances for all. Our profound belief is that in a more equal society, everyone is better off. This site has everything you need to know about our vision, our members’ successes to date, and the actions our members are taking. We’d love you to join us and help make New Zealand a fair and healthier place for everyone.